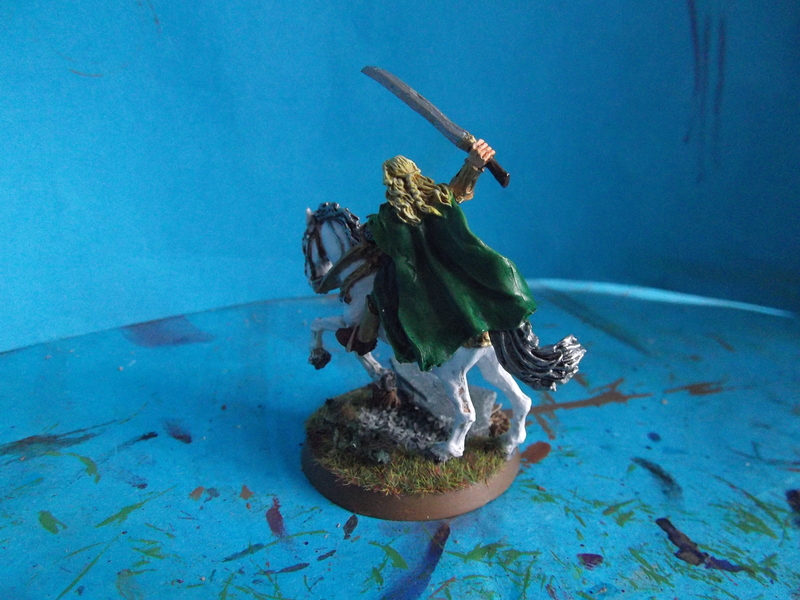 After last weeks gaming I wanted to post a few pictures of my finished Glorfindel model, however I have recently been suffering from the attentions of Nurgle and had bearly left my bed for two days. On Monday I was considering which one of my friends would get to pay off their mortgage after inheriting my Tyranid army. But the sickness has passed and now here are some pictures. 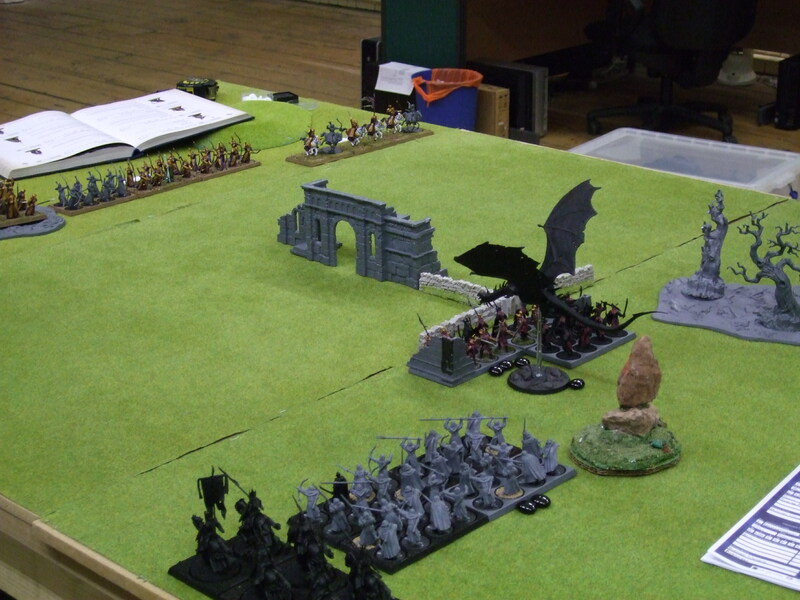 As ZombiePirate has already stated, this weekend saw the 6 inch move team having a fun filled day of War of the Ring. 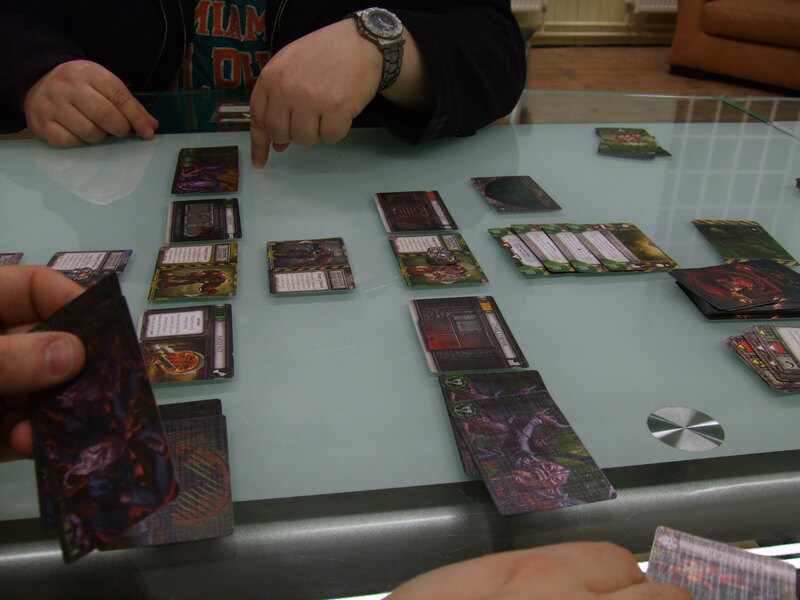 Unfortunately for me I had to work until the afternoon [I know working on a gaming Saturday]. Due to circumstances I had not been able to play this wonderful addition to our gaming until this weekend. 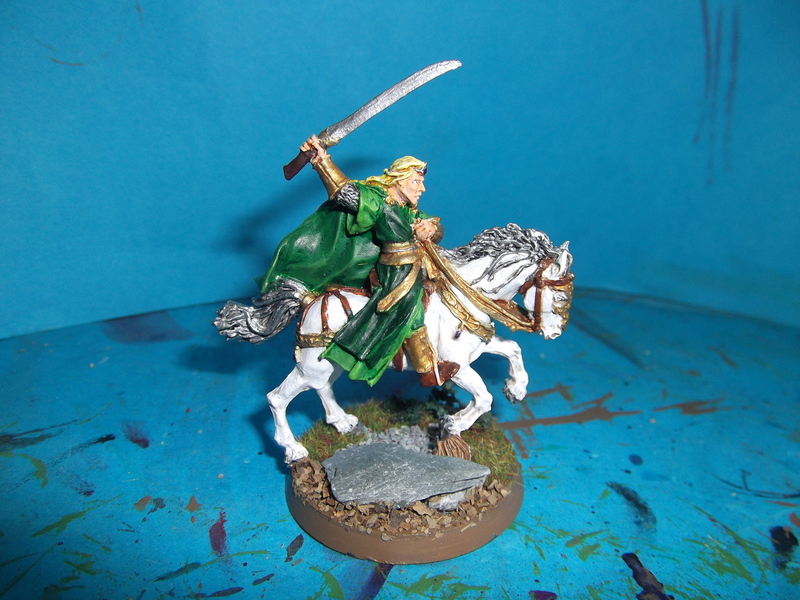 The force that I’d chosen many moons ago when we first talked of War of the Ring was the Elves, and here are some pictures. Yes I know there’s an Ent in there too. As this was my first game I decided to go with a mixed force. 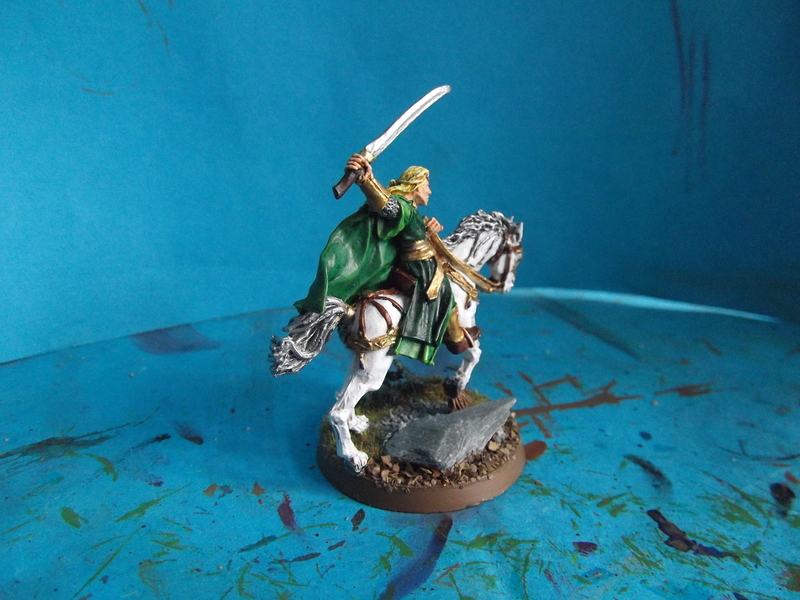 The main combat unit was going to be the Galadrim regiment, supported by the two archer regiments. The knights provide a hard hitting force whilst the Ent provided me with some much needed muscle. As for the Epic Heroes they all had a certain role. 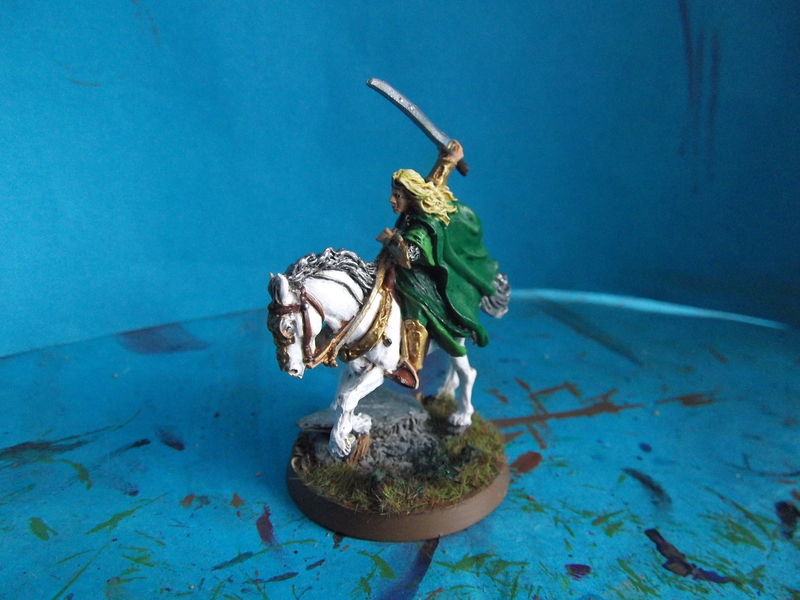 Galadriel was to be the leader and use her magic and epic defence to boost the Galadrim and her epic renewal to allow Haldir to use his epic shot every turn, and Elrohir was to use epic defence to boost the Wood Elves. Not really knowing the full dynamics of the game the plan was simple; to shoot the crap out of stuff on the way in, then give it a good beating in combat. So how did they get one? 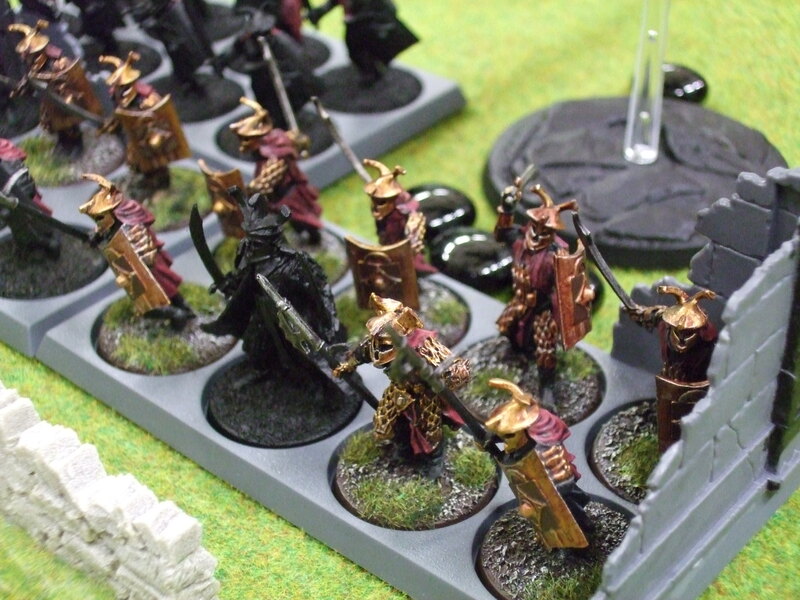 I had been told by some of the others that the Elves are considered one of the weakest of the armies in the game, and when I saw how much I was outnumbered by Servitob’s Isengard it easy to see why (21 companies to my 10!). We rolled for the scenario and got The High Ground objective and the Maelstrom of Battle deployment. It’s at this point that I got lucky; almost my entire army all turned up on the first turn, at the same table edge, whilst Servitob’s Uruk-hai came on a little more piecemeal, but also on the same table edge as my army. 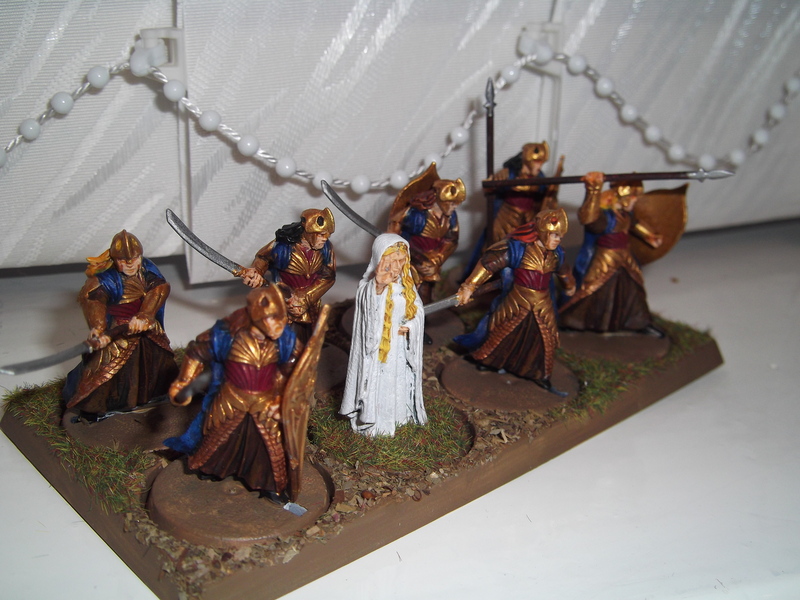 As the game progressed Galadriel proved her worth by reducing Courage values and then zapping people with Visions of Woe; the Terror aspect really came through with the Uruks refusing to charge on several occasions. 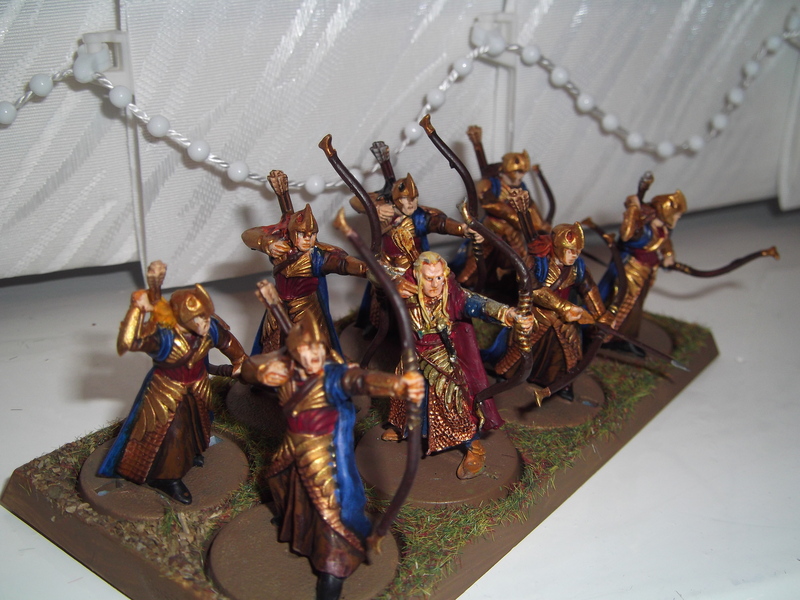 Haldir’s epic shot, combined with archery fire proved very effective. At the end of the game it was the Elves who held the field. Score 1 for the first born. My second battle of the day proved less successful. 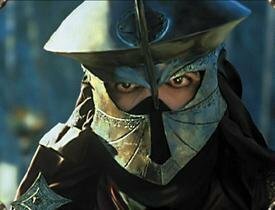 I fought against Carabus’ Gondor warriors. 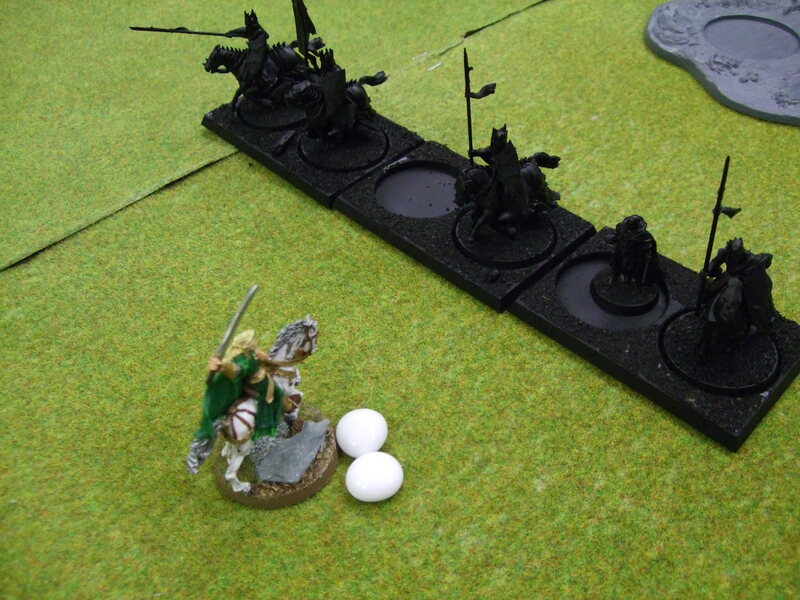 Shooting saw off the knights of Minas Tirith (Haldir’s epic shot taking down 3 of them in a single phase!). 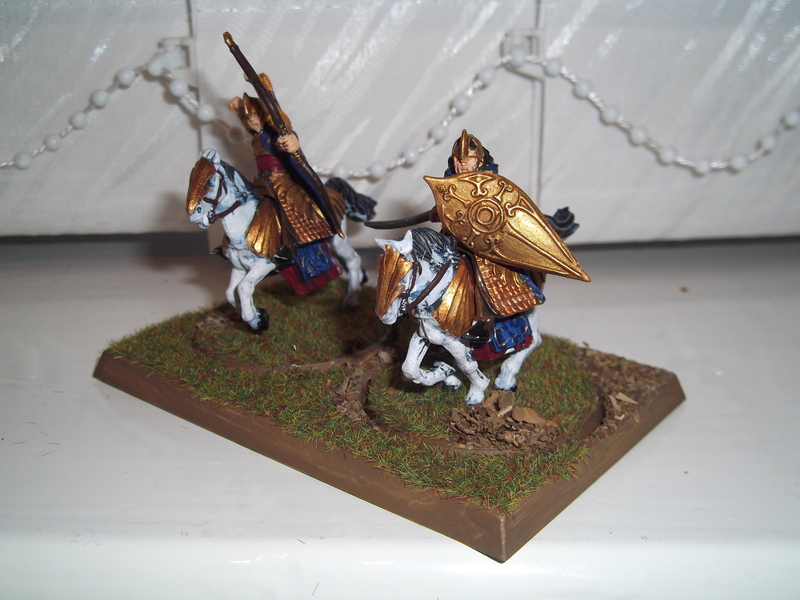 The initial impact of the Warriors of Gondor on the Elven battle line saw them being repulsed, but their second and third charges eventually wore down the Elves; result total wipe out! So what did I learn from these two games. First of all magic is awesome, if used right. Stacking the abilities from the spells to reduce stats, before forcing them to make a test is a good tactic. 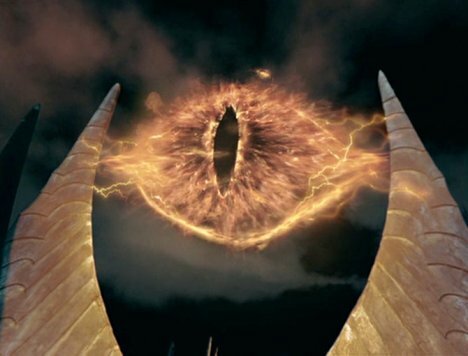 The Dismay and Command spells of Galadriel really makes a her very powerful. Spells such as Light of the Valar are fantastic; low focus and the reduction in Courage works well with the Elves causing Terror. Archery can be fantastic, especially when combined with an epic shot using hero you can easily take out a company in a single phase. 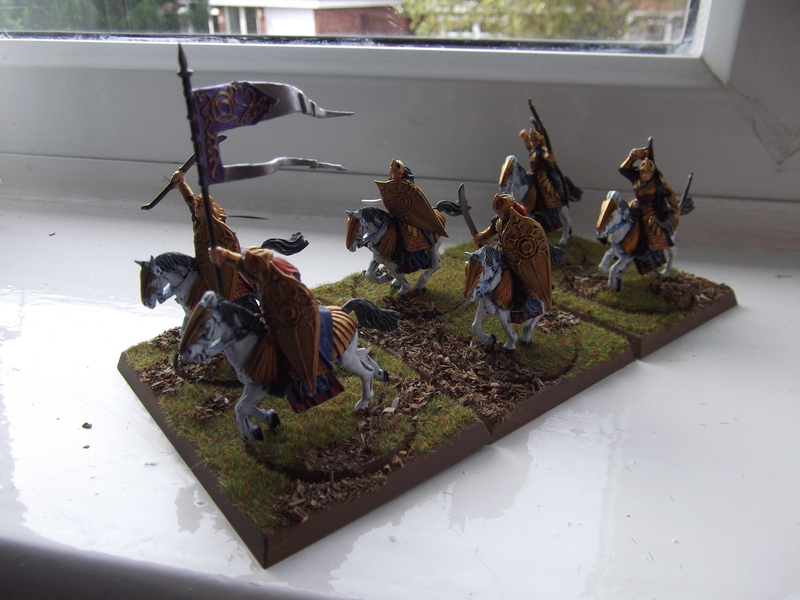 However archer wont win you the game (ok maybe it does when you push units off the table), and I did notice the difference between Defence 5 Uruk-hai and Defence 7 Gondor Warriors. Archers aren’t bad in combat either, but they will probably need an epic hero to help them against a more determined foe. The charge is important, as my Ent found out – failing the charge on at least 3 occasions. In the second game he did almost nothing; failing charges, not getting charged himself and finally getting hit on the head by the Gondorian Trebuchet and slain outright. 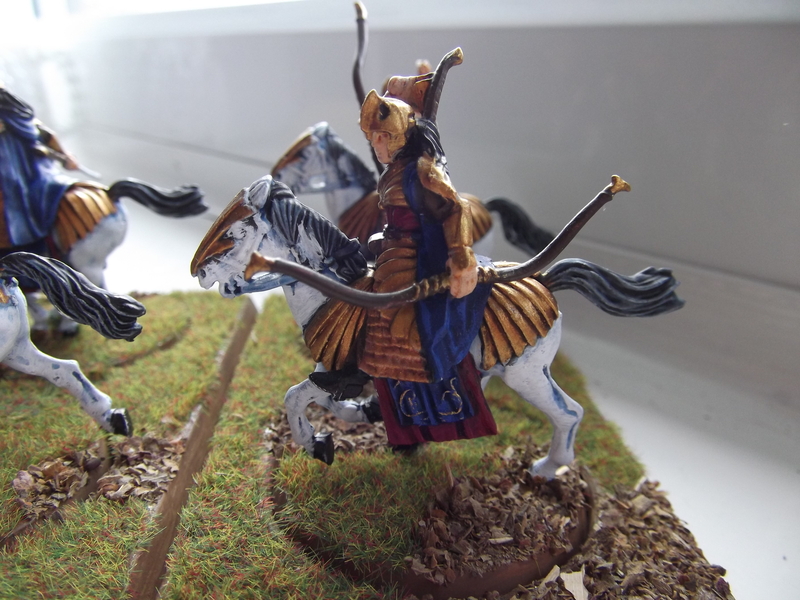 I also think that I need to be more aggressive, especially with my cavalry. 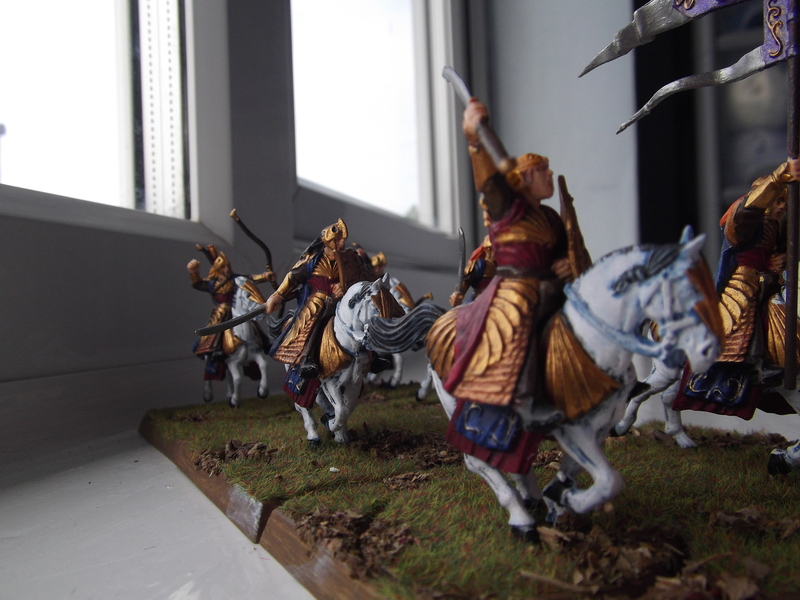 Giving the knights longbows was a good idea in theory, but I found myself backing off from combat so that I could shoot again rather than charging in after firing a volley. 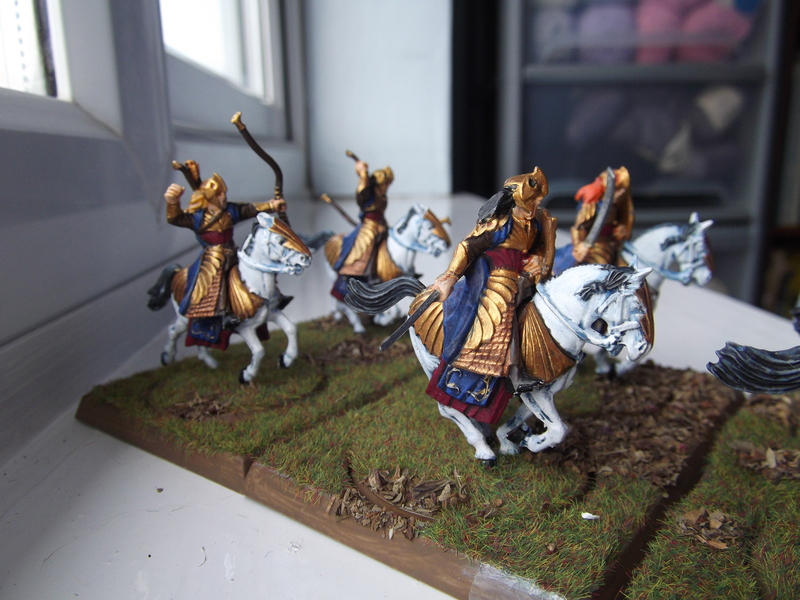 Potential changes to the army. Well I want to try out some of the other heroes, and look at some other combinations. The Galadriel using ‘touched by destiny’ to get a free epic renewal worked really well, but I want to see what else is out there. 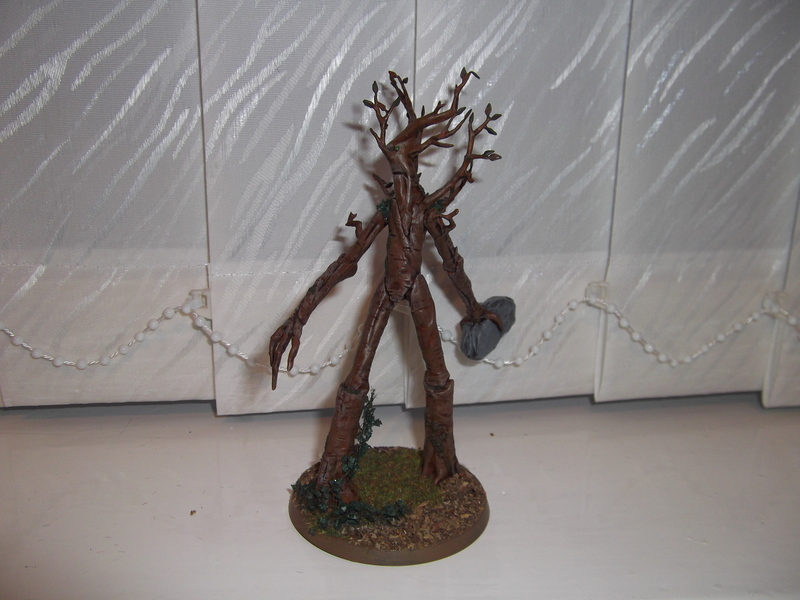 As for the Ent, I might replace him with an eagle, just to see what that is like. 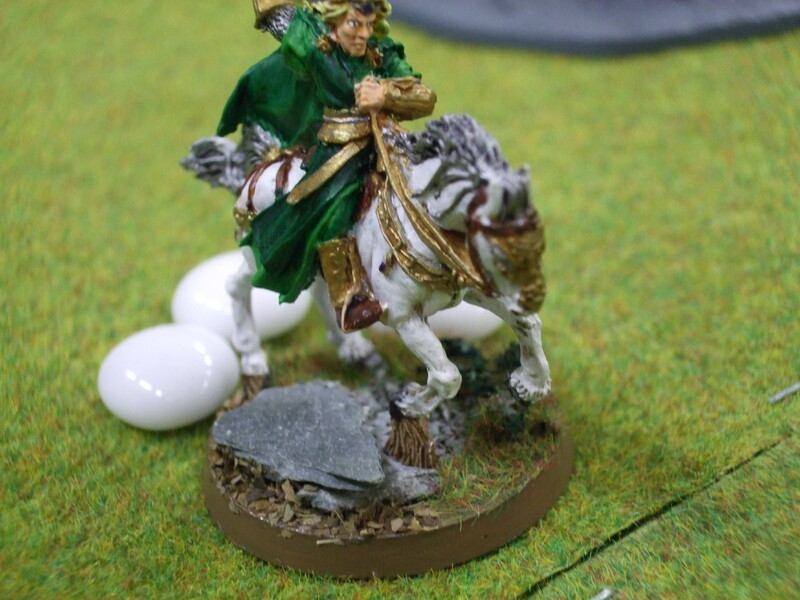 I can’t wait until we start having games of 1500 pts though, as you really don’t get a lot of Elves for your points. Overall a really enjoyable game. 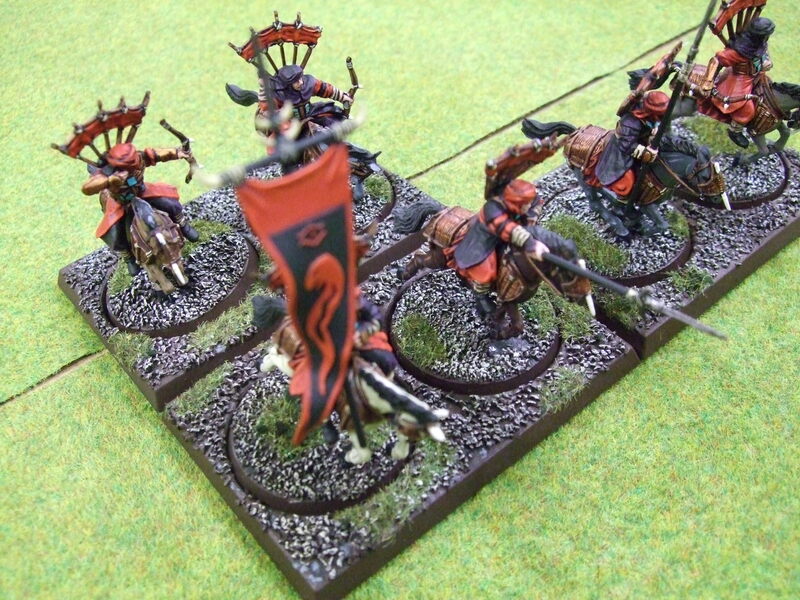 With War of the Ring coming up in conversation again I decided that it was once again time to embarrass ZombiePirate and his slow painting skills with some pictures of the first regiment that I completed for my Elven army. In all fairness I did these months ago to give me a break from all those Tyranids.